December 17, 2009 marks the one year point since my journey began. I was sitting in the surgeon's office to get my pathology results from a mole that I had removed just seven days prior. 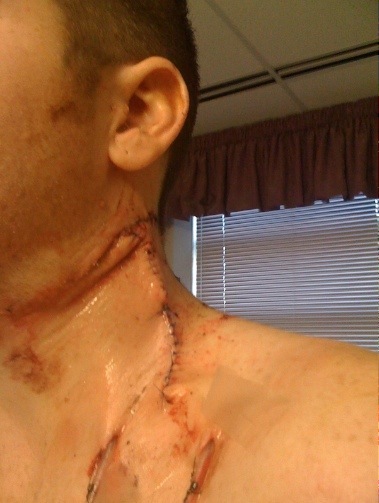 He told me that one of three moles that he removed had contained what he called Malignant Melanoma. I had no idea what he was talking about. 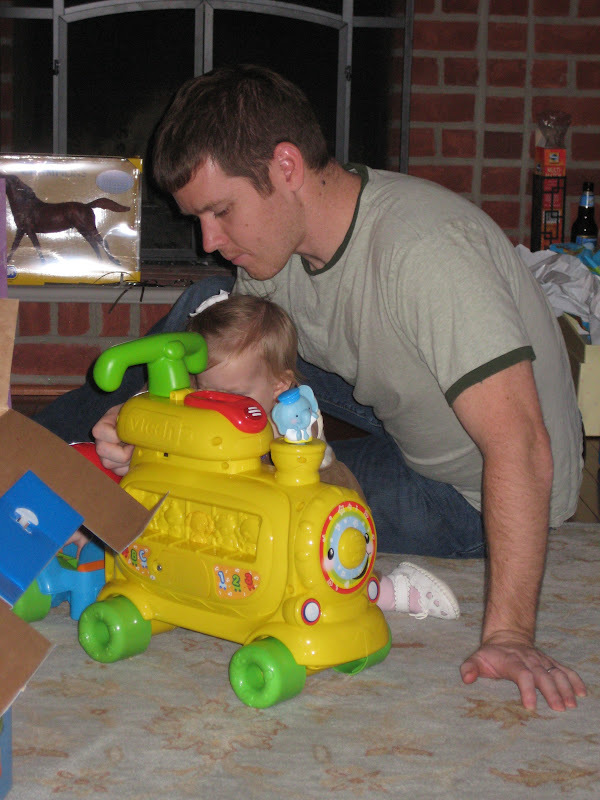 Here I am at my daughter's 1st birthday party in November 2008. This is what what my melanoma looked like. It was on the back of my neck, even if I could see it in the mirror I may not have suspected anything. As it was just before the holidays, I was able to squeak in to an appointment with the surgical oncologist at Washington Hospital Center. I went back to my office called my wife and then asked Steven to accompany me to the hospital. I was comforted by the fact that the doctors didn't show any real concern over this new diagnosis. It was almost as if they see it all the time and have no problem "fixing it." Just as we entered the new year, I was going in for my first surgery. It is called a local wide excision and it's intent is to achieve clear margins around the site of the cancerous tumor. It was explained to me to that the cut would be football shaped so that the opening could be pulled together and sewn shut. He even drew a picture of what the the cut the would look like and how big it would be. Can I just say, the actual cut was MUCH larger. Pathology came back, margins were clear! Turns out there was no benefit I did not benefit from the surgery at all! During the surgery, another procedure called a sentinel lymph node biopsy was performed. I was injected with a radio active fluid which could be traced to the lymph node that filters in that region of the body. They then removed that lymph node to test for malignancy. The pathology from the lymph node came back and showed that melanoma was present. The report also indicated that upon removing the lymph node, it appeared to be fractured or damaged. I was then scheduled for another surgery. 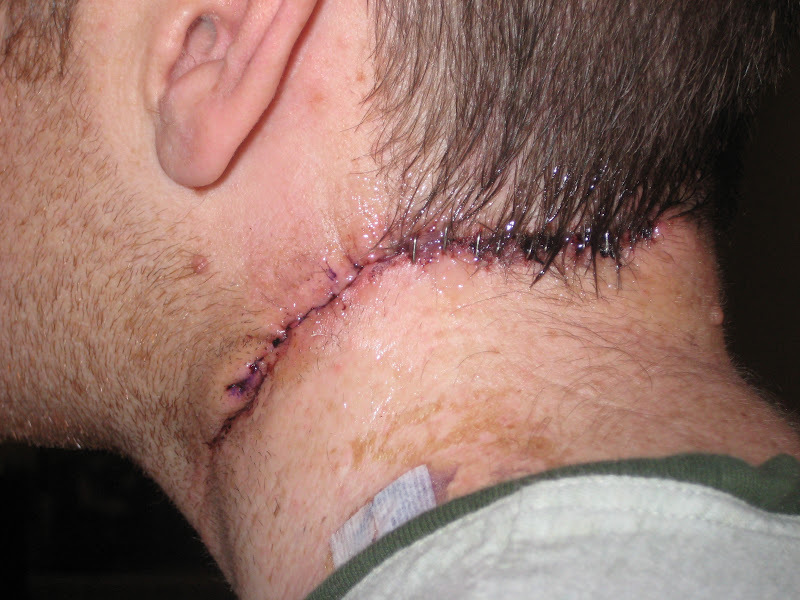 They wanted to remove several lymph nodes around the area of the first, it was called a left neck dissection. They wanted to make sure they there was no other melanoma present in that region. This is when they flayed my neck and chest and removed about 40 lymph nodes. None of which were positive. Melanoma was present in the soft tissue surrounding the sentinel lymph node. A margin around that area was found to be clear and once again the doctors were satisfied with their result and declared that they had cut it out. By this point, it was February. I was still recovering from my last surgery. It took several weeks and several bottles of pain killers to get over that one. I still have no feeling on my neck, jaw or ear. 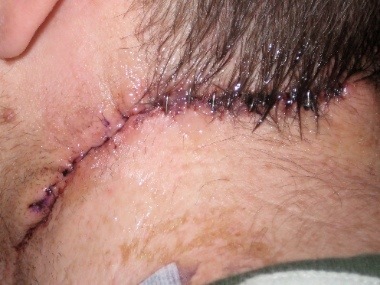 The next step was to have radiation on my neck at the site of the original mole. Seemed easy enough, and I was ready to go. I had gone in for my "dry run" and had my mask fitted and I was on the schedule. I would go in for radiation starting in about a week for 28 days. Just before radiation started, I noticed another dark spot on my neck, this time on the right side. It was a small, light colored mole with a very dark center. I had it biopsied and sure enough, it too came back as malignant melanoma. My disease has spread. With radiation no longer being a reasonable treatment option, I was off to see a medical oncologist at Johns Hopkins. I was told that he was the guy to talk to about drugs and that he works with doctors from all over the world and will recommend the best treatment options for my particular case. We decided to treat this like a new primary melanoma versus a metastasis. It was recommended that I have another wide excision on the right side of the my neck and make sure we can again achieve clear margins. This sounded horrible but what choice did I have? I was prepared to have my neck cut open and this time lean towards the right for a few weeks. 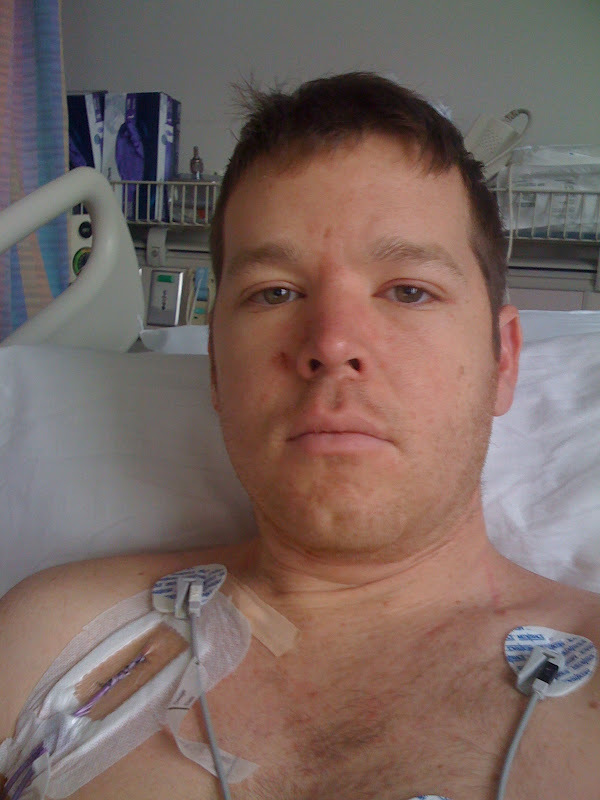 On May 5, 2008 I was to go in to have my physical to make sure I was ready for a third surgery. I had been having some cramps in the days leading up and I mentioned it to the doctors. I went in for CT scan and thats when we found it. I had numerous little tumors on my liver, spleen and left adrenal glad. I now have Stage IV Malignant Melanoma and less than a 5% chance of living 5 another years. Back to Baltimore to speak with the medical oncologist. IL-2 was his next recommendation. It's not toxic and doesn't pose any long term effect or damage to the liver, he said. You'll feel like you have the flu, some patients get itchy, but you'll get better. I was to start immediately and receive a round of treatment with up to 14 doses. It would then be followed with two weeks off before I would start another round. Two weeks after that I would go it in for more scans and determine results. Bloated, sick and attached to my "little bag of gold" as the nurses referred to it. This was, hands down, the worst that I've felt in my entire life. Well that didn't work. More than $100,000 was billed to my insurance company and I was just as sick if not worse than before I started. Again, I literally had NO BENEFIT from this treatment. With a 94% failure rate, IL-2 is clinically proven be just as effective as a sugar pill. It just costs a little more. I spent the next two or so months talking with other medical oncologists and researching. I read about a wide variety of topics starting from alternative treatments to new and exciting clinical trials. There were a few new age drugs that really caught my eye. I was turned down by one and the other never called me back. I was going no where in a real hurry. It was time for me to take control of my own future and health. I was already turned on to natural and alternative treatments from some friends. Not for cancer, but I've seen where food and these so called alternative treatments have helped some of these friends in the past. It was now time to make a real change and turn my situation around. It was time for the Gerson Therapy. 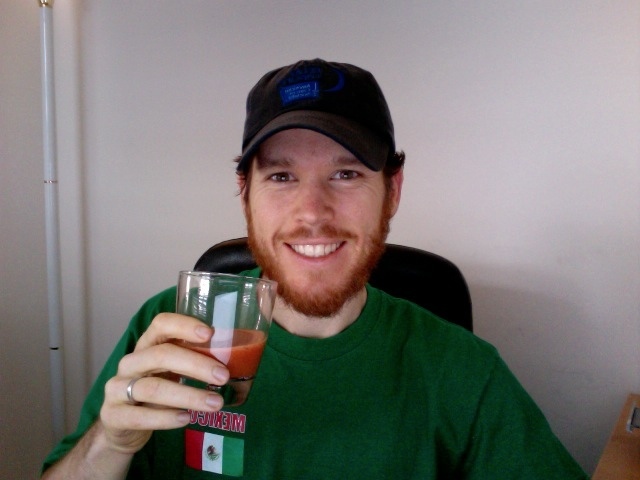 On September 8, 2009 I went to the Baja Nutri Care Clinic in Tijuana, Mexico. There I began a new journey, one that involves not taking food for granted and eating for a purpose. Three weeks in Mexico and then I was back home to practice this therapy for the next two years. The Gerson Therapy is a grueling regimen of 13 freshly prepared juices, 3 low-fat salt-free vegan meals including both raw and cooked vegetables, 5 coffee enemas, supplements and all the fresh organic fruit and vegetables that I want all day long. 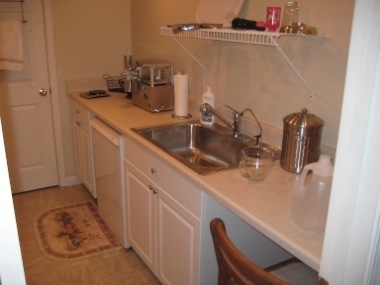 In addition, I cannot bathe or come into contact with fluoridated water. Salt or anything with sodium in it is off limits. The list goes on. Trust me, it is harder than it sounds. When your not actively doing something for the therapy, you are more than likely preparing something for the therapy. Hired and volunteered help is the only way to do it right. Though not required, I've found that a dedicated Gerson Therapy room is quite helpful in the pursuit of health. Especially considering that there is a lot of carrot, apple and green leaf particles that get everywhere during the process! I've come to realize that The Gerson Therapy is not a cure for cancer. The cure for cancer and all other degenerative diseases lives within all of us. It is our immune system. This therapy is one of many that help promote a healthy being. The body fights cancer every day. It is only when the immune system is in a state where it is no longer effective can the disease take hold. It is because my body is getting EVERYTHING that it needs, and NOTHING that it doesn't that I have a chance to overcome my illness. It won't be easy, and it won't be quick. The beard is coming in nicely, I think. 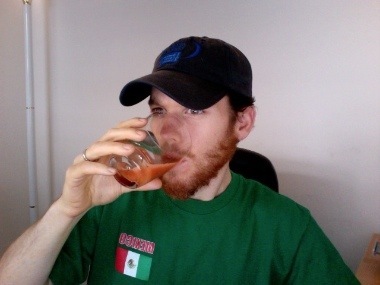 I wonder if all the carrot juice has something to do with it. This is why I blog about my story. This is not some well funded, double blind clinical study to test the efficacy of carrot juice. I simply want to document my experiences and possibly help someone else who falls ill to the environment as I did. If it works, then I believe it is a great testament to Dr Gerson and his family's work. I also think that given this information, there should be real changes made in our world so people can live and stay healthy. If it doesn't work, then I will die and you will be left without a cure. Either way, it is an important message to share. Oh my Mike...you have me in tears over here. You are so brave for going this route and so smart too. It takes so much courage to try something new, but I believe that what you are doing is really the correct path to take. I hope you cure yourself of cancer and live a long and happy life. Your story will be one to share with those that have an open mind. The more I learn about how poisonous our food supply is; the more I realize that this route you are taking is plain old common sense. My MIL has Stage IV Breast Cancer with bone metasis. We tried to get her to do Gerson, but she wasn't ready to go that radical. She has gone Organic, Gluten Free, MSG Free, and is eating for her blood type and her she had blood work this week and her cancer markers are way down....the cancer is not winning. I truly believe that we can heal ourselves thru nutrition and thru the power of positive thought. You look awesome! Thanks again for sharing your story with us. I believe your outcome will be a positive one and your courage to go your own way will be talked about for a long time to come. I wish all the best. Happy Holidays! P.S. Carrot Apple juice ROCKS!!!! mike, thank you so much for the powerful and candid post. i believe you have chosen the path of Possibility...one that has you thankful every december 17th, for many years to come. have a peaceful holiday, and hoping your wife and baby to be are also doing well. we send you all positive thoughts and intentions on a daily basis. Based on what I see with your health and Sarah's health on Gerson I am confident that in 2 years we are going to be toasting each other's health with a nice cold glass of carrot apple juice! Stay strong and live life! Happy FIRST of MANY anniversaries as a cancer SURVIVOR, Mike Brockey! Being a survivor has nothing to do with perfect health...and has everything to do with fighting the fight every day. Your story is candid, touching and miraculous, and the message you are sharing is an important one. I can't say that there is no place for medicine in cancer treatment, because medicine has saved many lives. I also can't say that medicine is the answer for everyone--that is a lesson I learned from your journey. You are my best (and FAVORITE) educator! I had no knowledge of the Gerson Therapy before you walked into my life...and now I am becoming more knowledgeable and am sharing your experiences with others. I believe in you, Mike! I believe that you ARE WINNING and WILL beat this!! Anything I can do to help you, PLEASE let me know! Thanks, too, for sporting your American Cancer Society hat! :o) ACS is more than just research... we are education and awareness, patient programs that improve the quality of life of those battling cancer, and we are also about Advocacy. And me...I'm all about SURVIVORSHIP! Love you and your family, oh so much!!! Merry Christmas and a HEALTHY New Year!! YEAHHH!! finally a smiling gerson man pic! i have waited so long for one!! thank you for posting about your journey. God has lead you to this treatment and i am praying it completely heals you from the inside out-keep fighting mike-we stand with you in this melanoma war! Wow Mike, You make my left neck dissection look like a walk in the park. You have healed from those scars amazingly. I just wanted you to know - i still follow your blog and I think about you and want you to know I'm always cheering for good news for you. Thanks again for sharing your story. I wish you and your family a very Merry Christmas and to good health in 2010 for you.. me and everyone out there fighting these mutent cancer cells. Peace & Juice! Mike, I have been following your Blog. I have one myself too. I am a cancer patient as well (pancreatic). I have elected NOT to do allopathic medicine (conventional) and am electing for the nutrition/enzyme route. I am seeing Dr Gonzalez in NYC next week. His protocol is based off Dr William Kelly, John Beard, Max Gerson. I have finally gotten used to those "coffee breaks" ! Stay strong, Mike. What a journey you have traveled this last year. Thank you so much for sharing your ups and downs via your blog. You have been an inspiration to me and so many others. Keep up the fight and faith - you'll beat the beast! Wishing you and your family peace and good health this holiday and throughout the New Year. 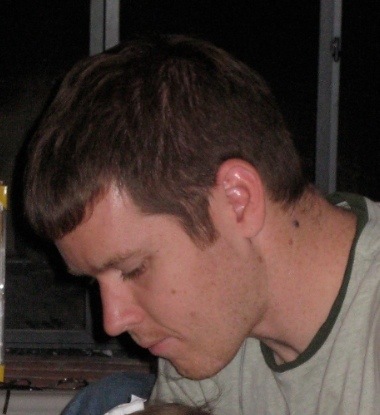 Mike, the pictures really do show how difficult this cancer journey is. I feel blogging helps others and I know your story touches many. Malignant melanoma usually occurs on the skin as a mole. It is mainly found in females. It spreads easily. It appears in different color like brownish-black, reddish, pinkish etc. There are different stages of melanoma cancer. Thin melanomas approximately 1 mm in size have greater chances of being treated. My goodness, what a story. It's incredible. I can't help but be amazed at the ineptitude of modern American medicine. They actually go and cut out the very parts of the body that are needed to fight the cancer - the lymph nodes. Like they used to do and still do, no doubt, with "big" tonsils or the lymphatic appendix. They like to cut, burn with radioactivity, and poison with chemotherapy. They make it look so sophisticated - this barbaric approach. The sad fact is that people, to be healed with "non-conventional-medicine", after years and years of being brainwashed to think the establishment really cares for you, as in "healthcare", need to take a huge leap of faith, a huge shift in mindset, to actually believe the "alternative" way really works, or really is the right choice. Look how they butchered Mike, and then look at how wonderful he looks after going the Gerson route. Keep going Mike. Be tough as you are and tougher you'll become. Wishing you a long, robust and healthy life.